Mueller Grilled John Kelly About Obstruction Probe - Joe.My.God. White House chief of staff John Kelly was interviewed by special counsel Robert Mueller’s team in recent months, three people with knowledge of the matter told CNN. Kelly responded to a narrow set of questions from special counsel investigators after White House lawyers initially objected to Mueller’s request to do the interview earlier this summer, the sources said. 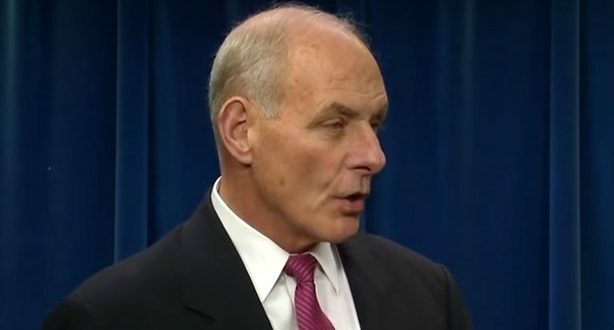 Kelly is the latest high-ranking White House official known to provide information for Mueller’s investigation, though his interview marks a departure of sorts since Kelly didn’t join the White House until July 2017. Most of the dozens of other interviews have been with people who were associated with the Trump campaign, were part of the transition or served in the early part of the administration.